March 24 is the date when Country Tonite reveals its new show for the season, and the theater promises that 2016 will be a stunning new production, with all new routines, choreography, lighting effects and costumes – as well as new comedy in its signature style, family-friendly, funny and understandable by kids. The theater typically closes after its gala Christmas and New Year’s Eve performances, to regroup and practice the upcoming re-opening in spring. Actually the theater has already hosted a performance in February of the Smoky Mountain Gospel Jubilee, a free show and evening service. But March 3-5 is when things start to warm up, with the annual Winter Carnival of Magic. See our earlier write-ups about this great event (hint: it’s when you have to put your skates on to catch the magic show in Pigeon Forge AND the Improv Comedy Fest in Gatlinburg). 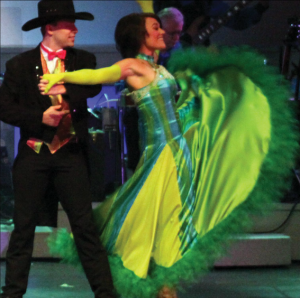 Continuing the warm-up fun, the theater is also the host of Country Music Week, March 7-13. Featuring country music, bluegrass and gospel concerts, the event also offers a workshops and competitions. Country Tonite Theatre is a state of the art facility, holding 1,500 people, and there’s not a bad seat in the house, because of the sloped seating and the superb, Broadway-quality sound and lighting, along with two giant screens. The show itself is very professionally produced, and show biz veterans come away impressed. The performers are all highly talented individuals who make strong appearances good enough to be the star of the show, while generously offering their talent to the audience and other stage members. There’s no break between routines, and the show projects out to the audience in a non-stop engagement that doesn’t give you time to get distracted. Country Tonite also discovers and features amazing young performers, prodigious talents obviously bound for stardom, which makes it a great hit with the kids. Children age 12 and under get into the show free, by the way, with a paying adult. While the show features a lot of country hits, Country Tonite has a boast that you don’t have to like country music to enjoy the show, and it’s true. The performers take a pride in entertaining everyone, of all tastes and ages. The result is a fast-paced show with a variety of singing, dancing, comedy, gospel, and American patriotism. Tickets are best to book ahead of time, because they have a tendency to sell out fast. This is especially true of the monthly specials the show puts on, bringing national country legends to the theater. April through November will feature the likes of Loretta Lynn, the Oak Ridge Boys, T.G. Sheppard, Bobby Bare, Brenda Lee and the Bellamy Brothers, and more. Tickets are already on sale – see the Celebrity Concert Series web page. The regular Country Tonite show runs 7 nights a week, and also offers an afternoon performance once or twice a week. Be sure to see the 2016 Show Schedule. The theater is located just off Parkway at 129 Showplace Blvd, with good parking. Call 865-453-2003 for information, and see the Country Tonight Theatre website. 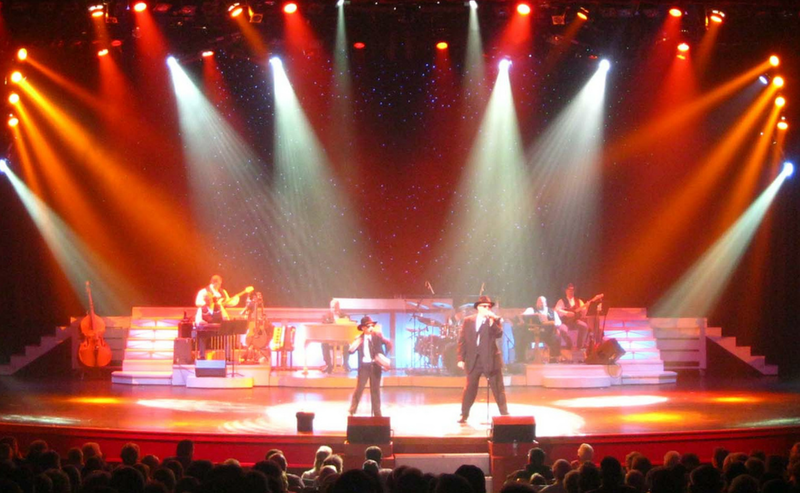 This Free Coupon to Country Tonite Theatre is just one of many Free Tickets that Cabins of the Smoky Mountains guests receive in our Trip Cash book of free coupons worth over $400.